Use the Script Project editor to create and edit script projects that are associated with SSIS script tasks and script components. Select a file to open it in the editor. 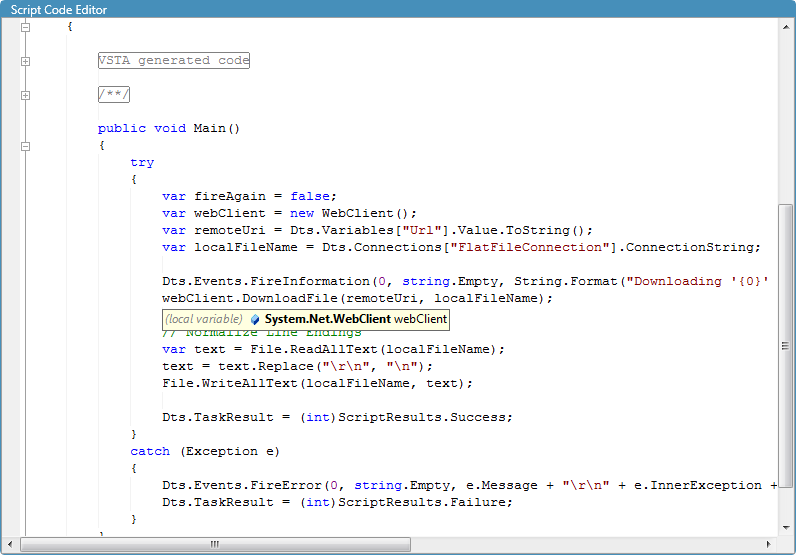 The editor provides syntax highlighting, region collapsing, and intelliprompt for efficient coding. 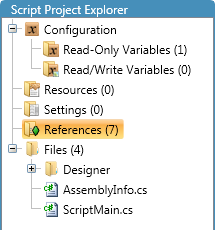 Select other items in the Script Project Explorer (Resources, Settings, References, etc...) to display their editors. 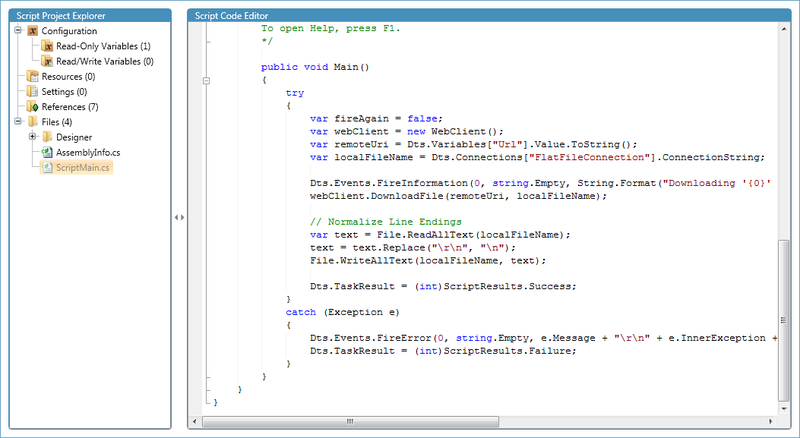 File Add a file to the script project. The default is a language specific file. Folder Add a folder to the script project's Files folder. Resource Add a resource in the script project. Setting Add a setting in the script project. Reference Add an assembly reference to the script project. Read-Only Variable Add a read-only variable to the script project. Read/Write Variable Add a read/write variable to the script project. Connection Reference Add a reference, to a project connection, to the script component project. Output Buffer Add an output buffer to the script component project. Column Add a column to a script component project's input or output buffer. Test Build Attempt to compile the script project.